Karen Brod received her undergraduate degree in psychology from Wake Forest University; her masters degree in experimental psychology from the University of Tennessee in Knoxville; and her law degree from the University of North Carolina at Chapel Hill. She is admitted to the North Carolina State Bar and is admitted to practice before the United States District Court in the Eastern, Middle and Western Districts of North Carolina. Though Karen has experience working in litigation and transactional law, she now focuses on Social Security disability law. 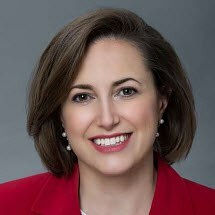 She is an active member of the North Carolina Advocates for Justice, the Social Security Section of the NCAJ, and the North Carolina State Bar.